Each of us have been touch by the disease of cancer. These bracelets have been made in loving memory of Wylie Strotbeck. Proceeds go to the Wylie’s Day Foundation, which will bring hope to children battling pediatric brain tumors. 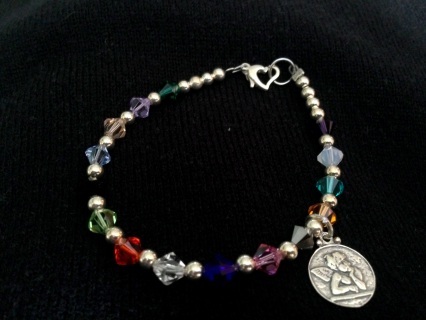 Made with Swarovski Crystal and Sterling Silver. The designs on these cards were created by Wylie when he was 12 years old. Some of the creatures you see helped him to fight his war against cancer. 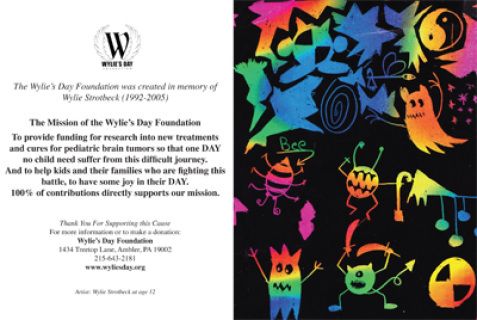 All revenue generated from sales of these whimsical cards supports pediatric brain tumor research.